If you’ve ever looked into starting a business on Amazon, chances are that you’ve come across the term “Retail Arbitrage.” While many articles and guides will tell you how lucrative of a business model Retail Arbitrage can be, in all honesty, there are several different aspects that you should consider if you plan on taking it up. Yes, you can make big margins on the products you sell and it is a tested method of making a bit of extra cash on the side, but Retail Arbitrage is not a long-term strategy to build a scalable business that is sustainable and can be sold for profit. In this guide we’ll discuss the pros and cons of Retail Arbitrage, the benefits of private labelling, how to build a profitable business that scales well, the best products to build a business around and where you can source your inventory from. Retail Arbitrage is a relatively simple concept: You purchase a product for a lower, or slightly discounted, price and then sell the same product at a higher price, therefore flipping it for a profit. So while this may sound like a regular form of retailing, it’s not. The key difference is that unlike regular retailing, a seller who is conducting Retail Arbitrage does not purchase their products and stock from wholesale suppliers or manufacturers, but rather, buys the products from other retailers or sellers. For instance, if you walk into a store and see that certain products are on sale, whether due to seasonal discounts or because the store’s clearing old stock, you may see that the price of a certain product used to be $30 but now, on sale, it costs $15. So, you invest a little bit of cash and buy about 50 units of the product and then list the product on eBay, Amazon or any such online marketplace, for a dollar or two less that the retail selling price – such as $29 or $28 rather than the original $30. Since the listing is only a dollar or two cheaper than the actual listing, the lower pricing seems credible enough for a customer to make a purchase without any suspicions and you actually end up making a profit on an item that you bought on sale – all without ever having to deal with the manufacturers, wholesalers or suppliers. You can choose to fulfill and ship your orders yourself if you would like or you can use the Amazon FBA service, where they handle the shipping and fulfilment of your orders and also provide customer service. One of the main advantages of Retail Arbitrage are the benefits you get when you use the business model in conjunction with Amazon. Even though it may seem unlikely, there are still several products that are not available on Amazon through the supply chain agreements that are traditionally used. That means, as a third party seller if you are sourcing the products from elsewhere and selling it on Amazon’s platform, their range of products and products base widens. Each one of these products that are sold by the third party seller also earns Amazon a cut, making you a source of revenue for their platform, which means that you are a valuable asset to them and that they generally work really hard towards keeping your business by providing you some great benefits for using the platform. The threshold for a person to become a Retail Arbitrage seller is relatively lower than any other business. Think about it, a person could get started with $100 – $200 as the capital for arbitraging. Also, if you are only making a few sales a month for some extra cash, Amazon won’t charge you a subscription fee. But if your stream of income becomes a viable one (more than 40 sales in a month), then you also have the option to upgrade to the Profession Seller Account from the Individual Seller Account. This low capital, low expense and minimum risk aspect of arbitraging is what makes it extremely attractive to resellers. Retail Arbitrage serves as a gateway to private labelling. Most Retail Arbitrage sellers gravitate towards using Amazon’s FBA services due to its ease of use and benefits and thus end up using the Amazon Seller Central Dashboard. 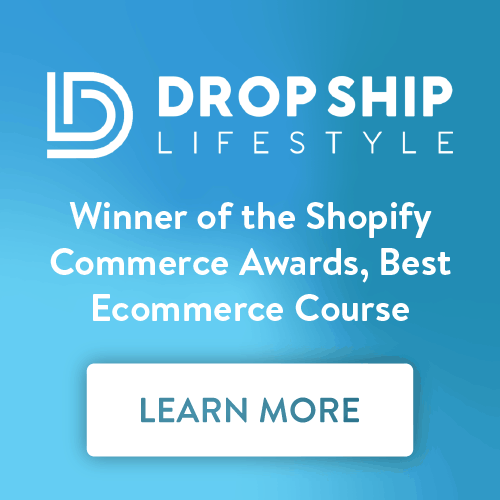 So once resellers get the hang of how the system works, they end up creating a brand selling under a private label, which is a more stable and scalable way of creating an online business. 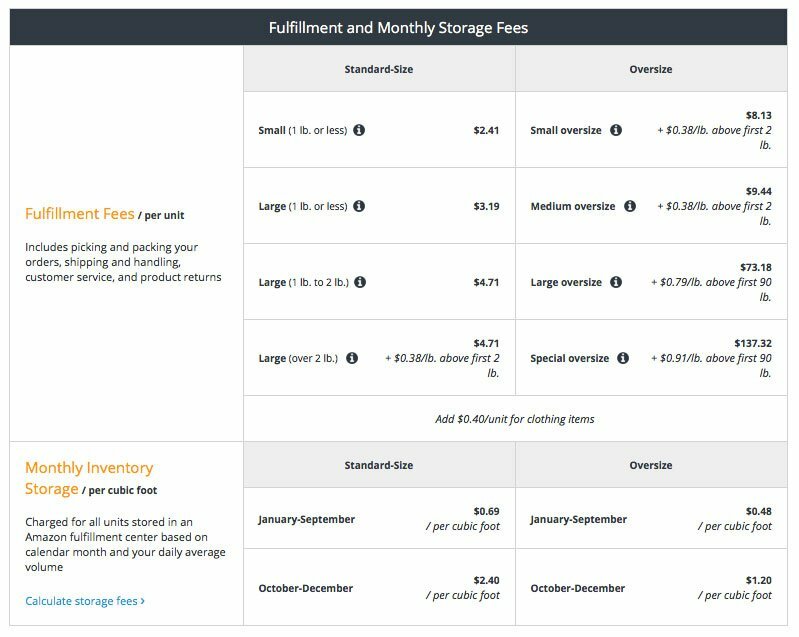 A few things that sellers pick up while using the Amazon Platform include how to create an Amazon Seller Account, how to use it, how to get around the dashboard, creating the best shipping strategies for getting products to the Amazon Fulfillment centers, how to label products, how to price products, how to link their bank account to their seller account so that they can accept payments, how Amazon prime works and all the challenges that come along with setting up an actual business. These are some important skills to learn in order to run a business smoothly in case you want to build other businesses in the future. Let’s kick it off with the fundamental stuff. If you buy things to resell, you have entrepreneurial spirit in you. Many people won’t even be aware they have it, until they spot their first opportunity. So much comes with this: process development, optimising efficiency, time management, delegation. It doesn’t end. You will lose money on some products. That’s just how it works. When you’re completely new, you’re going to make mistakes. They hurt. But then you get over them, because you learn from them, and adapt your strategy to ensure it doesn’t happen again. Even seasoned resellers lose money on products – ones they buy but can’t sell or get returned in an unsellable condition. It’s all just fuel to make more profit from your next haul. 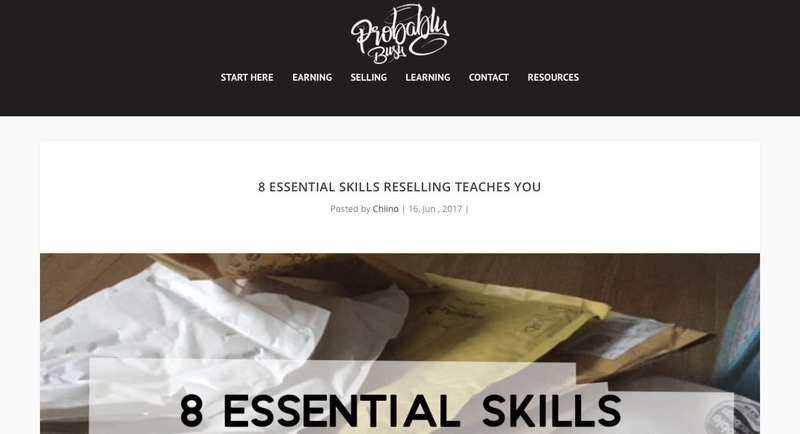 Whether it’s through negotiating a deal at a boot sale or well-crafted complaint responses on eBay, you’re going to have to build your communication skills to get anywhere with reselling. If you don’t think you’ve got what it takes now, it’ll come. Following directly on from the last, customer service is something many overlook in this field. eBayers know the kinds of questions, requests and abuse you can receive. Keeping cool and professional is the name of the game with customer service, and you will be put to the test here. It doesn’t matter if you have accounting software to cover part of the task, you will have to learn to some degree how to manage your books. If you want to take more control of your incoming finances, expect to have to learn how to be more savvy with the outgoings too. Forecasts. Trends. Stock maintenance. You know the game. It may take you a while to develop long-term strategies for your online shop fronts, but you will feel like a king when you’re able to see the future regarding retail cycles. Mess = stress. The more you have things ordered and planned, the more easily you can make your reselling bit on the side pay off for you. Process documents may be too much for your needs, but having set structures for incoming and outgoing stock makes life easier. Retail arbitrage is not a scalable business model for several reasons. While it’s a low risk venture when you are just starting out, it does have a certain amount of risk when you start to sell more and scale up. With Retail Arbitrage, you don’t really have any ownership of the product that you are selling which, in turn, hampers your profit margins as you have limitations put on you. Due to the popularity of some products the original retailers may have buying limits, which means that in order to buy more stock than you are allowed to, you will have to start asking others to partake in buying stock for you, which in some cases might cost you as people might ask for a cut. Other costs may become applicable – travelling to multiple retailers to purchase stock will take up time, effort and fuel. So while finding a product that serves your purpose well is already a difficult task, then trying to source the right amount to stock your inventory is another headache. Another major hurdle when using online marketplaces, especially Amazon, is the fact that certain products might be “brand gated” and you will need permission to sell them. Brand gating is essentially getting a brand’s permission to resell the product online. If the product is brand gated then there is a chance that you will not be able to sell it on Amazon and will have to look at alternative marketplaces, such as eBay, which effectively narrows down your customer base and, in turn, your revenue too. As mentioned earlier, Amazon puts its sellers above all else. The platform provides something called “Brand Registry Protection” – The new conditions on the platform states that private labels and brands have a larger extent of control over their product listings. This means that they can gate the products, report other sellers who are purchasing their stock and selling it online through Retail Arbitrage, leading to the reseller being branded as an unauthorized seller or someone who is selling counterfeit products. Obviously, this would result in the reseller’s Amazon account to be flagged and taken down. The rules keep getting more strict when it comes to protecting brands and private labels, therefore arbitraging is becoming even more difficult and risky. The Return on Investment (ROI) can be quiet low as the margins are smaller. As a reseller, everyone before and after you gets a cut: The manufacturer, the wholesaler, the retailer/seller, any other middleman and even Amazon. With private labelling. however, you can decide what your cut in the profit is which means you have a higher return on investment. You risk losing a lot of money if your inventory isn’t good. Some products may be on sale because of recall issues or because they have some sort of defect that you may not know off. Sometimes large stores know when a newer version of a product will be out and therefore have products on clearance to clear the stock. As an unsuspecting reseller, if you buy such a product chances are that you might have to face a huge loss. As simple as Retail Arbitrage may seem, in reality there is a lot of hard work that goes into it. While with Private Labeling and creating your own brand, you have the power to automate processes in different verticals and you have full control on how things function, to have any consistency or control over the Retail Arbitrage process, you need to have an extremely hands-on approach. Owning a private label business and constructing a brand is an extremely advantageous thing. Your brand becomes an important asset because you can have complete control in the way things work and how you get the job done. From the way your product looks and the packaging, to the way your brand’s personality is integrated in smallest aspects. It’s all your call and having that much creative control means that you can go above and beyond any reseller to set your brand apart. Since you have all the control over the functioning of the label, you can decide what your costs and margins will be. There is no one stopping you from setting a price point that is way over the manufacturing cost of the product. People have reportedly had up to a 400 percent markup and huge margins. While someone with a private label can play around until they settle on a price they think is suitable for both them and their customers, Retail Arbitrage sellers don’t have the same luxury. 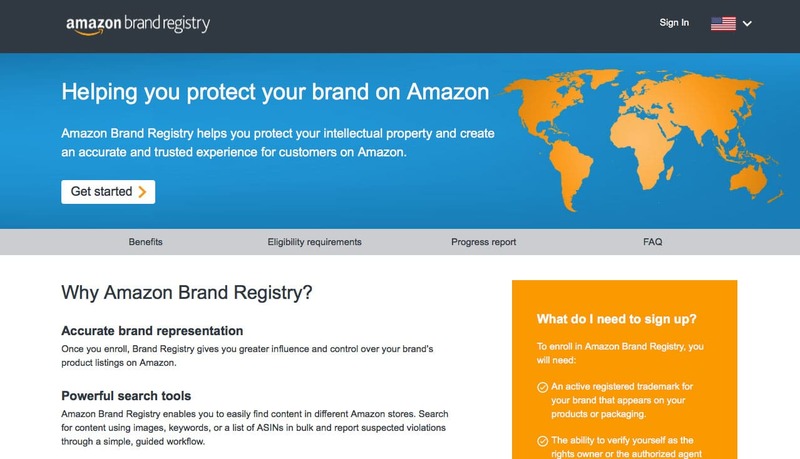 As mentioned earlier, Amazon protects its sellers with Amazon Brand Registry. The platform recognizes that it takes a lot of effort, time and money in crafting a brand, therefore it allows private labels to control their listings. Anyone who is selling counterfeits of their brand or are selling their product without authorization will be banned – this awards a lot of protection as well as power to the private labels. When you run a business on Amazon under a private label, you don’t necessarily need to keep outdated products in your inventory forever. You have the option of clearing out the stock, ordering new products to stock the inventory, run campaigns to promote products and create bundles and offers to entice customers. Unfortunately the same can not be done when you are selling any other brand’s products. If and when you decide to scale your business, it becomes a lot easier if it’s under a private label selling its own products. Since the label has full control over how much they manufacture over a term, there is no cap on how much they can sell. With reselling however, larger brands may place a purchase limit and if the brand manufacturing the product does something wrong or comes under fire, it will negatively affect your sales, without any fault of yours. Your own brand affords you the opportunity to constantly improve and learn from mistakes and even implement any feedback that you may get from customers. Having a private label brand also lets you live the kind of lifestyle you would like. Since you don’t physically need to be present somewhere to ensure that your business is running smoothly, you could be sitting on a beach in the Bahamas, sipping on pina coladas while working on your laptop. You aren’t bound to a place geographically as the supplier or manufacturer can fulfill your orders, or a service like Amazon’s FBA can. Then again, with the positives, there may be a dark cloud hanging over such prospects too. Depending on the market you decide to break into, the manufacturer can ask you to purchase a minimum order quantity of the products as the manufacturing costs would be too high to only have a small output. 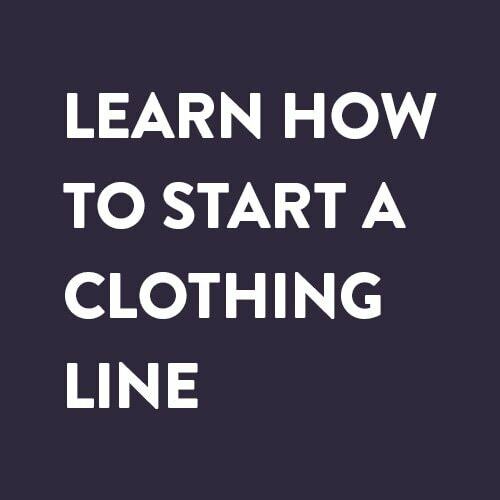 This generally requires a large sum of money to be paid upfront to actually even start the production of the items – this could either be considered a high barrier to entry or a high risk business decision. Another aspect that may require you to shell out cash early on in the process, is the research and development phase of the product. You are investing in something that will form the core of your brand’s identity, which means high quality products and a considerable amount of capital must be pumped into the development phase. In comparison, Retail Arbitrage works on tried and tested products that have undergone several qualitative and quantitative tests without the reseller spending a penny, minimizing the upfront risk. One of the most distinguishing features between private labels and Retail Arbitrage sellers is that while private label owners work towards creating an asset – a business for themselves- Retail Arbitrage sellers are essentially creating a job for themselves, as they don’t own the product and don’t actually have a business to sell off in the future, if they want to. The latter doesn’t necessarily need to be bad a thing, it just depends on every individual’s short term and long term goals and how each business model helps them achieve what they set out to do. It’s essential that you know what to look for on clearance. Almost every store under the sun will have clearance items at some point. While not all of them are open about this for various reasons, knowing where to look can be helpful. Some stores may have an aisle or certain shelves that have all the clearance items, while other stores may leave items in their normal places but put tags and marks to indicate that they are on clearance. The general rule of thumb is that stores don’t always place clearance items in “high traffic” shelves in their shops as they aren’t generating as much revenue for them as other full priced items. A friendly relationship with a store or its employees may result in employees notifying you when certain items that you have been looking for go into clearance. They might even be happy to bring out more of their clearance stock in the back room if they have any. Stores are just as eager to get rid of their clearance stock as you are to buy it, so don’t be shy to ask employees what’s on clearance or if they have more clearance stock available in the back. If you walk into a store with a certain mindset about which products YOU think will work or not, chances are you will end up making the wrong decisions and perhaps lose out on products that could have made you lot of money. Sometimes the clearance price of some products may remain high but that’s only because there are people who would actually consider that a good deal. Just because you would or would not buy certain products, does not meant that there are others who won’t. Of course, don’t pick up silly thing in the store – just use logic and understand that there are different perspectives than yours alone. Are the Items You Purchased in Good Condition? Items are sometimes in clearance because they are older stock, which means that there is a possibility that there may be some nicks and dents here and there. Just because you are buying from clearance does not mean that you compromise on quality. Clearance items could also be those that have been returned by customers, therefore you need to be extremely thorough when checking if there is anything missing or if the packaging is open/damaged. It’s better to be aware of such conditions before you spend any money and actually purchase the items. Keep in mind that even Amazon has a way of marking whether items are new or not – products with damaged packaging do not qualify as new products, which means that you may be reviewed badly resulting in a dip in sales or the item may not be purchased at all. It is exciting to find the product you’ve been waiting for on clearance, however, it would be wise to look for it in other stores, too. In many cases, shops do not always advertise when their products are on clearance, you may only find out when you check with an employee or in their cataloguing system. Always be sure to check for the visibility of the clearance stock and double check the price. Another thing to be wary of when purchasing your stock is the difference in price that is displayed versus what you actually get charged due to reasons such as misplaced stickers, wrong shelving or even just the fact that the clearance sale is over. You don’t want to purchase what you think are clearance items only to get home and realize they weren’t on clearance at all! This wouldn’t serve your Retail Arbitrage strategy wisely. There are several reasons why Amazon’s FBA services are the most used by private label brands and Retail Arbitrage sellers. So why should you use Amazon FBA? Well, to learn all about Amazon’s FBA service you can check out The Beginner’s Guide to Selling on Amazon with Amazon FBA. Here is an excerpt from the guide about the benefits of FBA. “There are a lot of benefits of using Amazon’s FBA services. The company prides itself on being able to provide the growth capabilities to your business while saving you a lot of time in the process. The main charges that are levied are for the storage space and the orders that Amazon fulfills – it works on a pay as you go system. Shipping fees are included in the main fee therefore there are no extra charges for any orders that are eligible for Amazon Prime (Free shipping). However, please note that there maybe fees for selling on the Amazon platform and any other additional services that you may opt for. Amazon focuses on handling the finer details of the transactions so that you can utilize your valuable resources, such as time and effort on the things that truly matter and will benefit your business. Since there’s no minimum amount of units that you need to send, the fulfillment centers truly function with the business owners inventory in mind. As mentioned earlier Amazon’s FBA service deals with all customer service requests, returns and refunds that have to do with the platform. To ensure that customers are aware that Amazon handles the shipment to them (i.e: packing, delivery, customer service, returns, refunds), the listing on the website is marked with the Amazon and Prime Logos. One major advantage of using Amazon’s FBA service is that they also provide Multi-Channel Fulfillment (MCF) which helps your business grow exponentially. 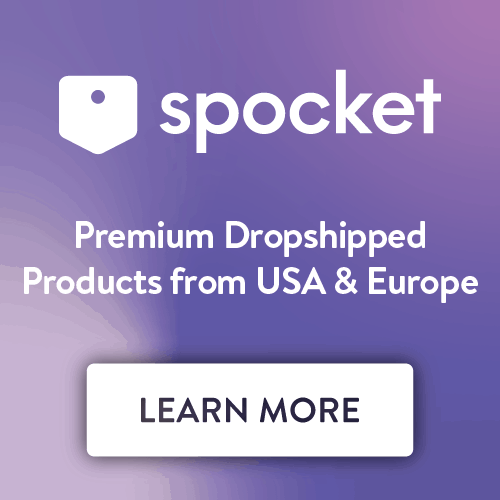 The company gives you access to their global fulfillment network, their expertise in operations & execution, and varied shipping options for your products. As an Multi-Channel Fulfillment Client you can access these services whether you sell on Amazon’s Online platform or even through any other sales channels. MCF is a proven method of improving customer experience as it provides the same efficiency of Amazon Prime listed products. Customers can opt for 1-day, 2-day or the standard 3-5 business days delivery options. MCF along with the Amazon Marketplace Web Service lets you connect your website or any other online sales channels through an API – this lets you centralize your operations as you get to use a singular inventory source that you can refresh, place any orders from, deal with shipping and fulfillment from, run reports through – all while freeing up your time and energy for other more important tasks at hand. Amazon also boasts about the fact that your business becomes instantly scalable when you work with their platform as your fixed costs remain the same even when there are seasonal spikes. Be it for Retail Arbitrage or creating your own brand and selling products under it, finding the right products and markets to break into is a really difficult task. Here is a compilation of products and markets with a huge scope this year – you’ll find everything from quirky to savvy on this offbeat list of products that customers would love! Enamel pins are one of those trends that come around every few years, and this time it has come around in full force. Enamel pins are trending again because they’re easy to design and personalize which makes them attractive to businesses and consumers alike. Enamel pins are an ideal fashion accessory because they spruce up any outfit by being pinned on bags, jackets, t-shirts, etc. Even though they’re tiny they can still be statement pieces! Enamel pins can also be used by companies or individuals to represent the causes they stand for as they can literally and figuratively “wear their heart on their sleeve.” A small but powerful product like this holds great social and cultural significance as it delivers personal messages. Ideally, to sell these in high volumes, you might want to build strong marketing campaigns around them and perhaps target fandoms, lifestyle groups, charitable causes or pop culture niches. Another great product is fitness leggings. These have been popular for a few years now and by the looks of this growing market, they don’t seem to be going anywhere anytime soon. Fitness leggings cater to multiple niche markets which makes them a versatile commodity for any brand focusing on building a fashion, fitness or athleisure business. Fitness leggings are extremely light so they’re less expensive to ship and they also can come in a plethora of styles, fabrics and colours to appeal to a variety of consumers. Since they’re small and easy to store, you can easily stock your inventory with multiple styles and options to test out which type sells the best, while providing your customers with great options, so they’ll keep coming back to your brand. Due to their versatility, you can also sell fitness leggings in all seasons, such as loungewear during the cooler months and as fitness clothing during the warmer ones. Titanium rings are the perfect match of aesthetics and masculinity, which is a key combination to creating successful products in the men’s accessories market. Titanium is a premium material, but it’s relatively cheaper than other precious metals, so it’s a great product to get started with if you can find the right supplier. Minimalism has increasingly become a lifestyle choice for several people and it is a trend that is continuing to grow with the millenials. This coupled with the fact that customer are looking for more sustainable alternatives for products and are consciously making such choices has also put products such as the bamboo toothbrushes on the trending list. While this product has been around for a while, popularity wise, it still hasn’t reached its peak, which means that getting into a business that sells sustainable products like bamboo toothbrushes, so early on in the game is perhaps a good idea. The product itself are sleek and have an “authentic-hipsterish” feel to them. While you are at it, look into the “zero-waste” trend to see which other major market could potentially be disrupted in the future – soap, detergent, storage containers, packaging? There are just so many options out there! Capitalizing on sustainability isn’t just a lucrative business path but it also has a feel-good factor to it, making it almost irresistible to the new age of eco-friendly or trend-savvy entrepreneurs. Socks are one of those evergreen products that are almost always trending. Even though it’s a mundane product that’s just a normal day-to-day item, with a few minor design details it can really catch the eye of consumers. It’s also a great product to sell online: It’s small, lightweight, not gender specific, suitable for all ages, can be printed with all kinds of designs and more. Keep in mind, however, that while novelty socks are a viable niche to tap into, the regular sock market has way more competition and highly saturated. To stand out from the crowd you’ll definitely have to make your socks hyper-niche so you have a distinct advantage over other companies selling socks. The beauty and skin care industry is something that will perhaps always be around as a “trending market” which is why it constantly attracts entrepreneurs to it. One of the latest fads in the market are night masks. Just like the charcoal face peels and masks that took the market by storm and were one of the hottest trending products, night masks are touted as becoming the next “hot product”. If you are planning on starting a beauty and skincare business or already have one, adding nightmasks to your arsenal of products should be a no brainer. They are inexpensive, and actually show results – customers are loving the natural glowing skin and the moisturization thanks to the product! Plush toys are the perfect addition to your children’s, home or lifestyle business. This product provides the perfect opportunity to upsell to your customers by bundling it with other products from your inventory. These toys make for great gifts and come in a variety of unbranded options that are sold by various different manufacturers. Due to their popularity, they have been a “trending product” for a very long time and even adults are buying them to create pinterest worthy home decor setups. Anything unicorn themed has been trending for the past years and the trend isn’t slowing down anytime soon; on the contrary, it’s rising steadily. Unicorn themed products add a bit of magic to mundane, everyday products, and it makes them even more fun, unique and enjoyable for the consumer. There’s also a niche market of people who love anything to do with unicorns, so there’s an established consumer base ready to target. These types of products are eye catching, novelty and highly shareable on social media which makes them perfectly apt to build a fun marketing campaign around. With the advent of the smartphone, a new market was formed. This market also included a niche that has created a solid foundation for itself amongst top contenders such as home decor, fashion, etc. – this niche is the one of phone accessories. The variety of products in this niche is incredible alluring and often people set up brands that solely sell phone accessories. The products can range from smartphone cases, screen guards/protectors, chargers, usb type converters, stickers to earphones (both the wired and wireless kinds), amongst a few others. The more that smartphones evolve over time, the more accessories are going to be created to improve customer satisfaction of the products. Projections show a nearly a $100 Billion sales cap by 2022 which makes it a goldmine. The problem with this market however is that it is extremely saturated and there are way too many competitors. Unless you have an extremely niche product idea such as this company that only creates premium wood finish phone cases – there is a chance that your brand might not even get noticed. The key to gaining success in this niche is to have the right combination of a premium quality product, an impactful marketing campaign, brilliant customer service and consistency. Athleisure is activewear that can be worn as an everyday outfit instead of being solely worn for athletic purposes. Athleisure emphasizes comfort and durability which is exactly what customers generally are looking for in clothing. As a seller, athleisure is a great market to target because you can sell multiple different products such as leggings, sweatpants, t-shirts, shoes, socks, headbands, sports bras and more. What makes athleisure a particularly great product is that, unlike many fashion trends, it’s here to stay. It also gives you a great entry point into other areas of the industry such as sports and fitness gear or health and holistic living supplements. Backpacks have always, and probably will always, continue to be a top selling product because of their practicality and functionality, but lately there’s been a rising trend of creating backpacks that are hyper-focused to suit a particular niche. These backpacks are more than backpacks because they include additional features and functions to help a targeted group of people perform important tasks more efficiently. For example, some backpacks are now targeted to different age-groups, activities and styles – such as to students, travellers, IT specialists, “urban commuters,” etc. Think of the ways you could make a backpack even better for a particular niche group of people. With a projection of $5.6 Billion in sales by 2022, you should definitely be interested in shapewear. The versatility of this product offer the seller to categorize it in multiple niches/markets and sell accordingly. Shapewear comes in multiple styles – some can be worn under clothing, some over, some come in the form of lingerie. You can find almost any style, colour and size to stock in your inventory and cater to the different needs of your customers. With even big fashion houses and brands stocking shapewear such as bodysuits, it is apparent that customer continue to pursue products that offer them a slimmer silhouette – which means that this trend is not going anywhere for awhile. Baylage is a popular form of hair colouring that makes the hair look like it has natural volume with the use of highlights. While this is a recurring trend in the fashion and hair industry, this time around it seems more popular than ever! The look can be achieved at home or by going to a salon, which is why your target base will slightly bigger – salons, stockists and individuals can all be targeted for sales. The products used to achieve this look, include: toners, lighteners, spatulas, colour application brushes, aftercare products (shampoos, masks, conditioners, etc). As a lot of influencers on social media and youtube are continuously sporting the look, this trend continues to spread and the sales stay high. If you are looking to break into the beauty segment and especially the hair styling/care niche, the baylage trend and the associated products may be worth looking into. The men’s hygiene is a niche that doesn’t get the attention it really deserves. Larger manufacturers are focusing on wipes for the overall hygiene category, however smaller vendors have noticed that there is a great opportunity for them as men’s wipes for a niche market. This allows the smaller vendors to form a consumer base and provide a variety of men’s hygiene products, not just the wipes. The “dude wipes” are targeted to men across the board – from those who enjoy camping and outdoor activities, to those who have busy urban lifestyles and commute a lot. Due to the fact that body wipes are a product that need to be purchased on the regular as it falls into the FMCG group, manufacturers are making “customers for life”. For a vendor that could mean automatic reordering or subscription to the project. The silicone makeup sponge is a egg shaped sponge that can help evenly spread liquid foundation or concealer and help blend it evenly. As soon as this product hit stores it was a hit started to sell out. Online, this product went viral and has attained a cult status. Dermatologists suggest that you replace the beauty sponge every three months, which makes this a fast moving good, which means that you are bound to have returning customers – that’s great definitely great for sales. However it is important to note that, to have returning customers, your store, your customer service and product quality have to be top notch. For anyone who is adding this product to their inventory, it would mean thoroughly researching their vendor and ensuring that they adhere to strict guidelines. Speaking of accessories, for a lot of businesses this is going to be one of your largest windows of opportunities when it comes to finding the perfect product to sell in 2018. With consumers adding more and more technological products into their daily routines there is more interest in accessorizing these devices to make them more stylish, streamlined and functional. These accessories can add style to the device itself whether it be a phone, computer, camera, drone, etc, or these accessories can be a more stylish version of something you regularly use in tandem with a device such as docking stations, power banks, cords, chargers, etc. Some popular accessory items include the iRing which adds additional functionality to the iPhone, AirPod Skins add style and protection to the Apple Airpods, or even sweaters for drones and Airpod floss stickers. Yep, those are a thing. Take advantage of the demand for stylish, sleek, streamlined and functional accessories and create a new product that makes an existing device or accessory better. The beauty of this approach is that it doesn’t have to be complicated. Spend some time thinking of the devices you use every day and what small accessory would make them either function or look even better. You don’t have to reinvent the wheel here, just think about useful, functional, quirky or customizable additions that make existing devices better. Essential oils have a variety of different benefits, for example: lavender relaxes, tea tree oil is antimicrobial, peppermint oil is relieves symptoms of the common cold, etc. An essential oil diffuser that’s specifically designed to emit essential oils into the air is a quick and easy way for consumers to integrate essential oils into their daily lives. To break into this niche market, first weigh the pros and cons of electric diffusers (works via electricity) versus heat-based diffusers (works with candles) to discover which type would be the best one to sell to your niche market. You could possibly even sell essential oils in your shop and then bundle essential oils with diffusers to upsell each purchase. Consider the types of essential oil combinations that would be a great fit for your audience. Everywhere we looked – be it Facebook, Instagram or even actual stores (both online and brick-and-mortar), everyone was selling charcoal beauty products. These products boasted the presence of activated charcoal that includes several benefits: In toothpastes it acts as a natural whitening agent, in face washes it acts as a purifier and one of the most popular charcoal beauty products were the peel-off masks. These are all the rage on social media and influencers on platforms such as Instagram and YouTube favoured the products openly. On the vendors side of things, charcoal beauty products were one of the best selling online products in the beauty and make-up niche. The trend seems to continue this year as well with support from customers and influencers alike. Such products are also great to resell and ePacket delivery is easily available to most countries. Due to the influence of social media and, more specifically, Instagram and Pinterest, chalk paint has become fairly popular. It’s a versatile and fun product that can be painted on walls or surfaces to turn it into a chalkboard, and it’s a fun product for both adults and children alike. Consider how you can break into the chalk paint market, or how you can provide other products that can help make self-painted chalkboards even better for adults, kids and families. These little nuggets of technology have become extremely popular due to their functionality. Tile is a Bluetooth tracker, that is paired with an intuitive app which makes it easy to find any object that it is attached with – Keys, wallets, bags, etc. The key to the success of this product is simple – it is providing a simple solution for a problem nearly everyone faces at some point. With bluetooth technology becoming more involved in our everyday lives, it would make sense to look into simple solutions that customers are looking for. Either way, if you’re interested in Retail Arbitrage then give it a go! See what you can do with a minimum budget and the selection of inventory that you can find, flip and resell. The more you put into Retail Arbitrage, the more you’re likely to get out of it, so get going.